PPI Meets RRI - What can we learn from the European example? 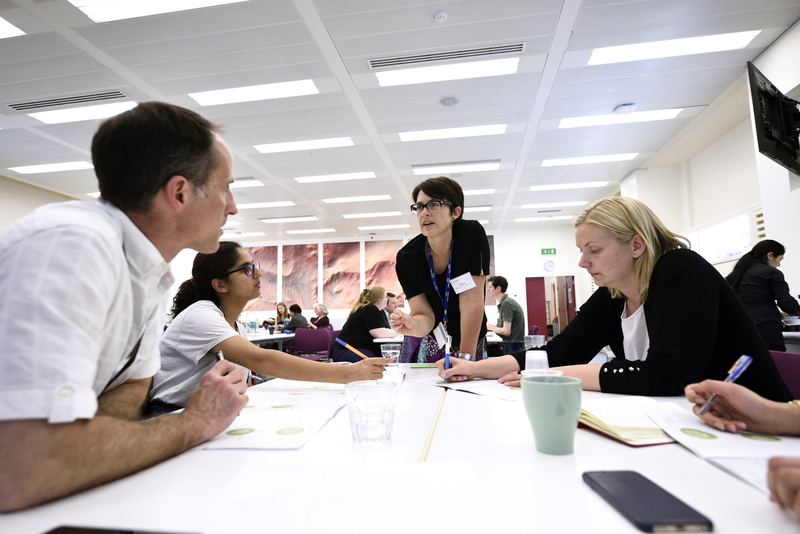 To celebrate National Co-production Week, we sat down with Rosina Malagrida (Head of the Living Lab for Health at IrsiCaixa, Barcelona) to discuss ‘Responsible Research and Innovation’ and what the U.K. can learn from the European example. What is “Responsible Research and Innovation (RRI)”? 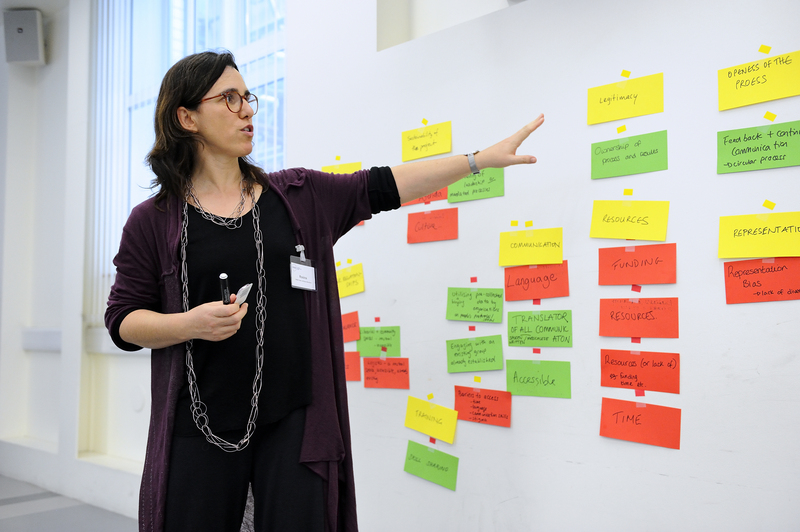 RRI is an open and inclusive process by which research and innovation are performed in collaboration with different stakeholders to make sure that they better respond to the needs and expectations of those actors. The main aim is to increase the social impact of health research by opening the governance to different stakeholders who can contribute with critical expertise to to improve both the process and the outcomes, with a final focus on increasing the impact of the results being developed. What is the main difference between RRI and PPI? PPI is essentially a subset of RRI. PPI involves patients, members of the public and carers who are only some of the actors (stakeholders) which RRI hopes to involve. Although PPI has been around in the UK for much longer than RRI, as I understand it, the UK is moving from PPI towards RRI especially in relation to co-production of research with all relevant stakeholders. What motivated you to start doing RRI? Right from the start of my career I was motivated by the relationship between research and society. When I finished my undergraduate studies I realised how far citizens were from current research. I then worked on developing educational and outreach programmes where students and citizens could engage in research. Those activities are relevant but not sufficient to move out of the “deficit model” that currently defines the relationship between research and society. The deficit model attributes public scepticism or hostility towards science and technology to a lack of understanding which results from a lack of information. The model is associated with a division between experts who have the information and non-experts who do not. When I discovered “Responsible Research and Innovation (RRI)” I realised that there was a solution to the deficit model. We can no longer only focus on making sure that the public understands what researchers do, but we also need to create intermediary spaces for deliberation where the public can participate either in research and innovation decision making or even in research and innovation processes. Does it matter who participates in RRI? You should start RRI with a stakeholder analysis to identify which actors should be involved. They can be from the following communities: health care providers and researchers, industry, civil society and patients, policy makers or education. Undertaking a stakeholder analysis helps to identify the actors by analysing different parameters such as their interest and influence, and to identify who are the onlookers, the friends, the champions and the blockers. This analysis is very helpful to define the involvement strategy and to make sure that the relevant actors are involved to contribute together to the governance of health research. What do you do if you disagree with a patient opinion? Who is right? There is not a right or wrong point of view. In society we have different points of view and they are all relevant. What is important is to have as many opinions on the table as possible and to make sure that we make decisions taking into account those different opinions. What, if any, are the limitations of RRI? One of the main limitations now is the way research is evaluated. The focus is on publishing in high impact journals, and that makes it difficult for researchers to invest time in involvement processes. Luckily there are now initiatives all around the world advocating the inclusion of other evaluation criteria, such as the DORA initiative coming from San Francisco. I am also aware that in the UK you also have very interesting initiatives challenging the evaluation of social impact of research. Do the principles of RRI apply differently in a research or innovation setting? What could PPI learn from RRI? The principles of RRI apply to both Research and Innovation. This includes the governance of both research processes and innovation processes including services, products and processes, some of which happen in clinical settings. I believe PPI could be inspired by RRI to involve not only patients and members of the public but also other actors who will be critical to facilitate change, which could be in industry, policy makers or in the education community. I also believe that RRI can also be inspired by PPI, as in the UK there is a broad experience in the field.